I really love Born Pretty Store for their selection of affordable nail art, especially their water decals. 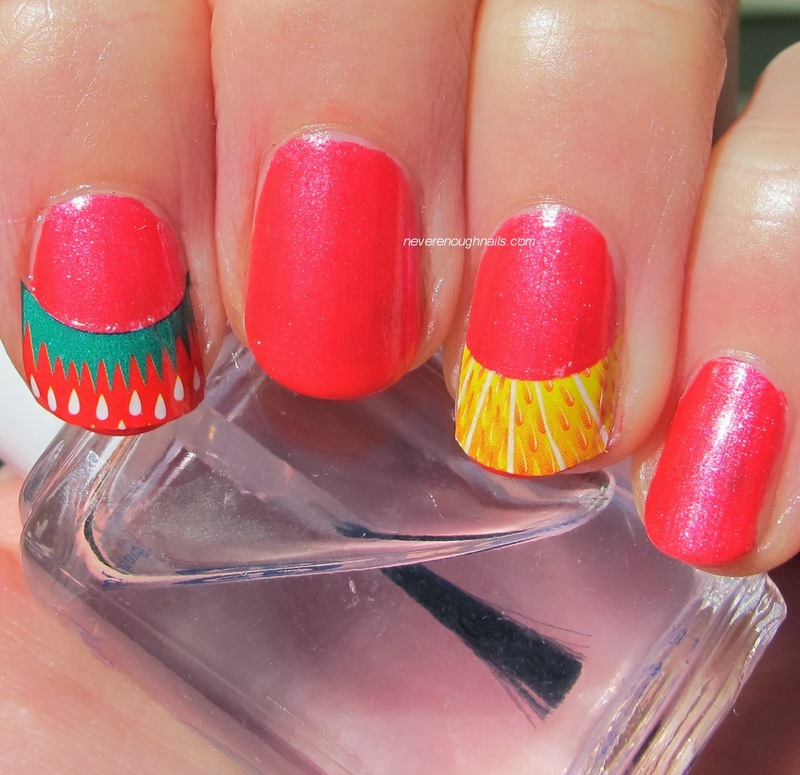 Water decals are so easy to use, they're basically foolproof for nail art dummies, like myself. Unless they are these new French edge decals LOL. I mean, they were actually very easy to use, but they were hard (for me) to properly size them for my tiny nail beds and short length. I trimmed them, but but were still kind of awkwardly shaped. For those of you with longer nails and wider nail beds, I think these will be really fun. 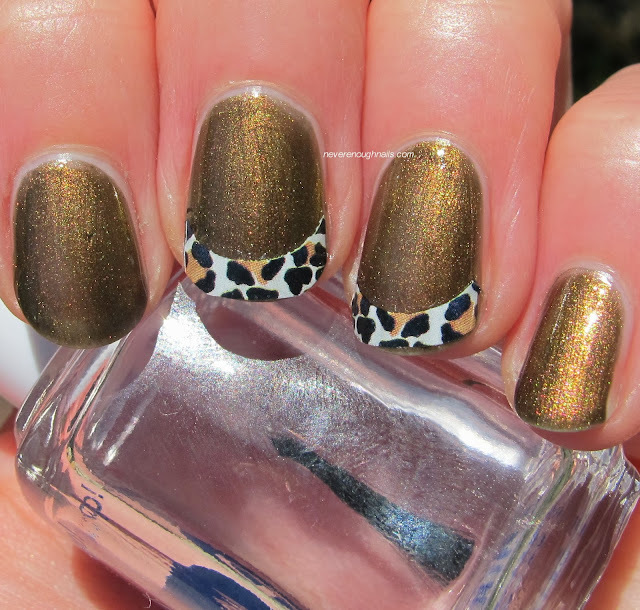 They're a great easy way to dress up a mani with tip wear, or just a way to rock a leopard print! These were simple to use. Just cut the pattern out, trim to the best size for your nails, remove the plastic film, dunk in water for a few seconds and peel the design off. Apply to your nails and add top coat. The leopard print pattern was easier to trim to fit to my nails, but I found these fruit pattern decals to be very difficult. If I trimmed them too much, you couldn't tell what the pattern was supposed to be. I also thought the sizes of these were larger than the leopard ones. So ignore the poor placement of these and just imagine these on long nails. They'd be really cute, just not so much on me. While browsing Born Pretty Store today, I found these ADORABLE black kitty Halloween decals that I immediately ordered. So cute!!! I hope they come before Halloween, I really want to wear them. Their water decals are a steal at less than $3 a sheet and free shipping. Remember to use the code ERJ61 for 10% off if you order anything.